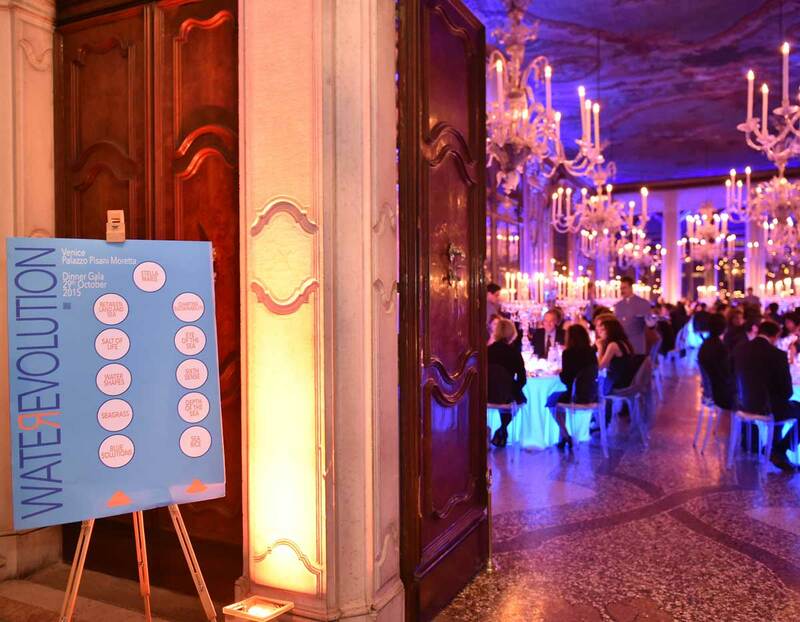 Rosa Salva ensures reliability and top-notch competency for a day where nothing can go wrong. 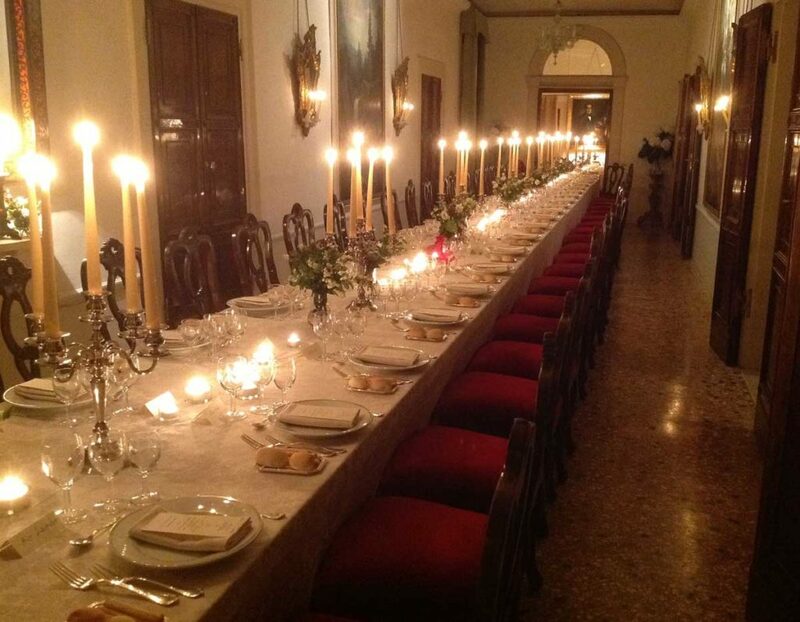 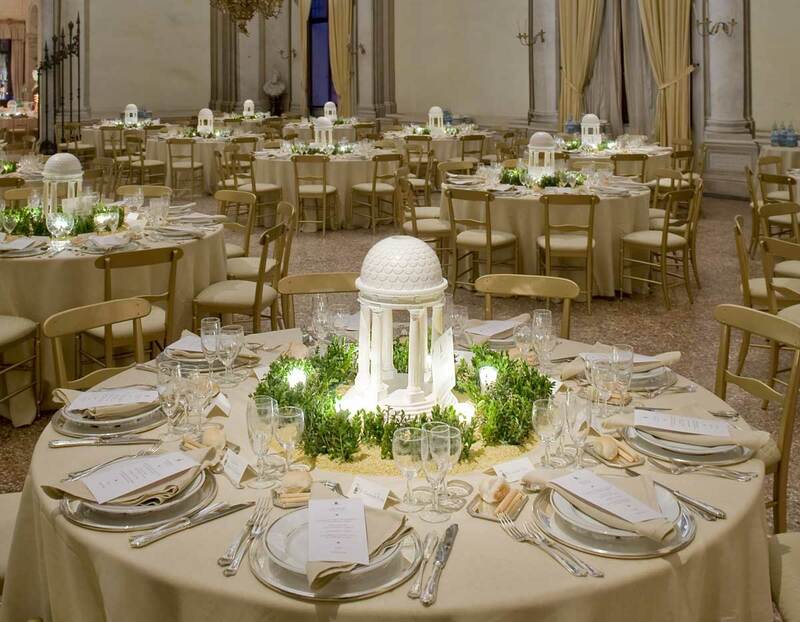 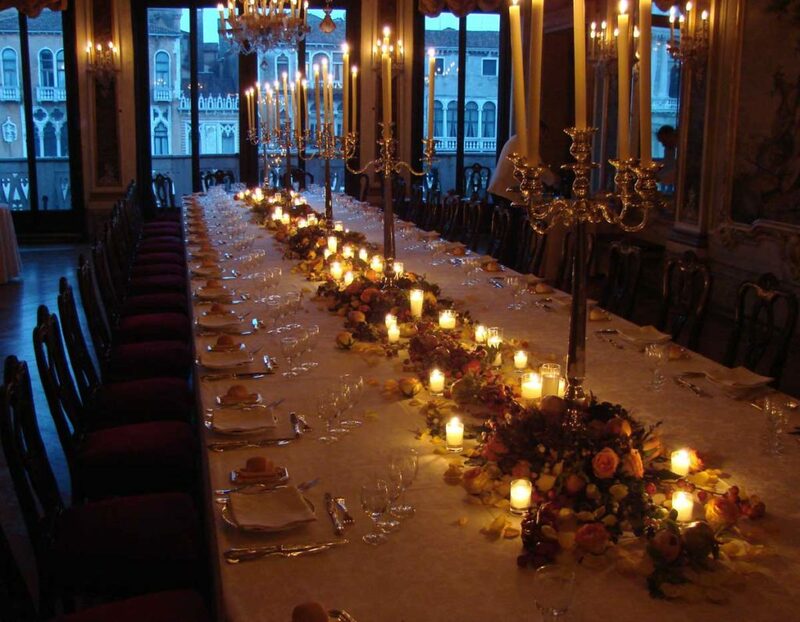 The ceremony, the party, and the wedding feast will be a huge success thanks to combination of the wedding couple’s desires and the experience of Rosa Salva whose credentials includes catering for distinguished wedding parties for members of historic families, business leaders and celebrities. 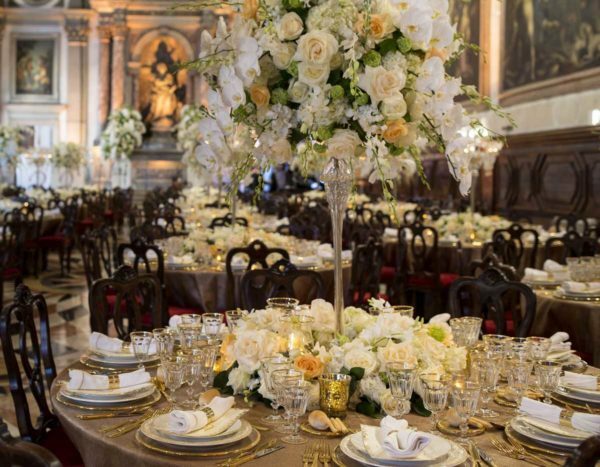 Gardens, villas, palazzi and special venues will be set up and organized to ensure festive and seamless service for cocktails, table service, banquets and dance parties. 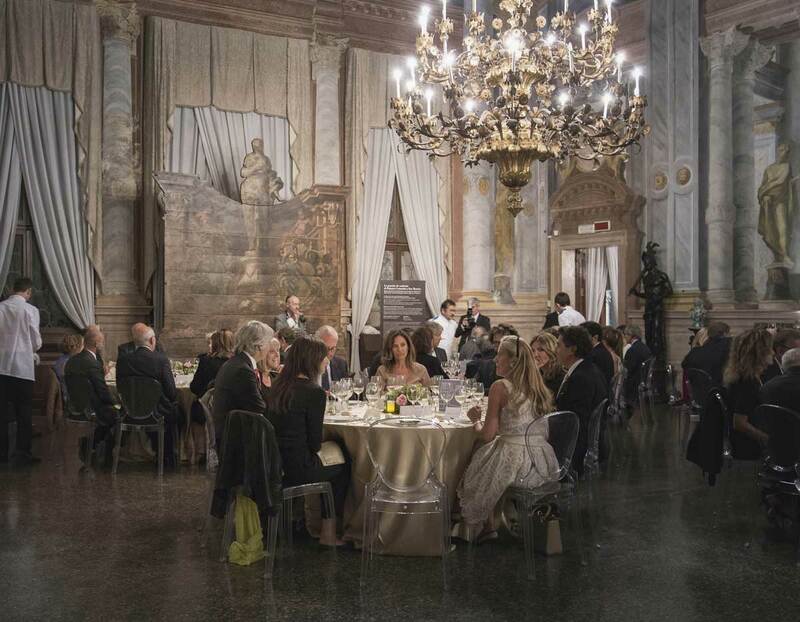 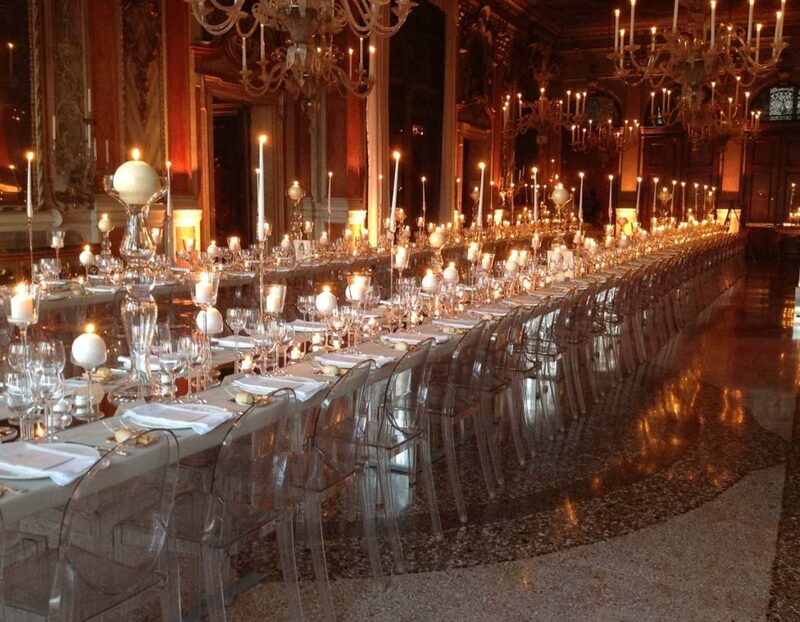 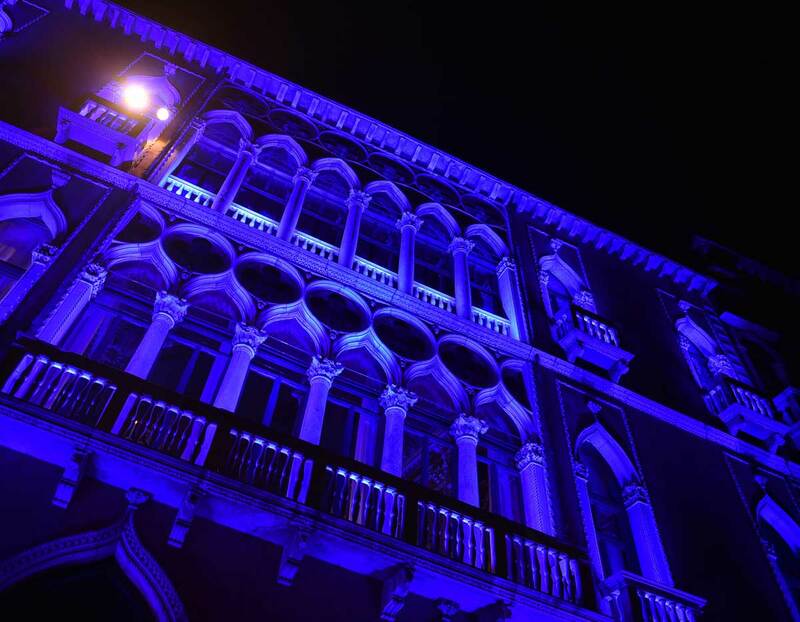 Venice is the ideal city for organizing conferences and meetings, and Rosa Salva organizes lunches, coffee breaks, cocktail parties and gala dinners all over: from the Island of San Giorgio to the Scuola di San Rocco, to historic monumental buildings such as Palazzo Pisani and Palazzo Curtis Vigano. 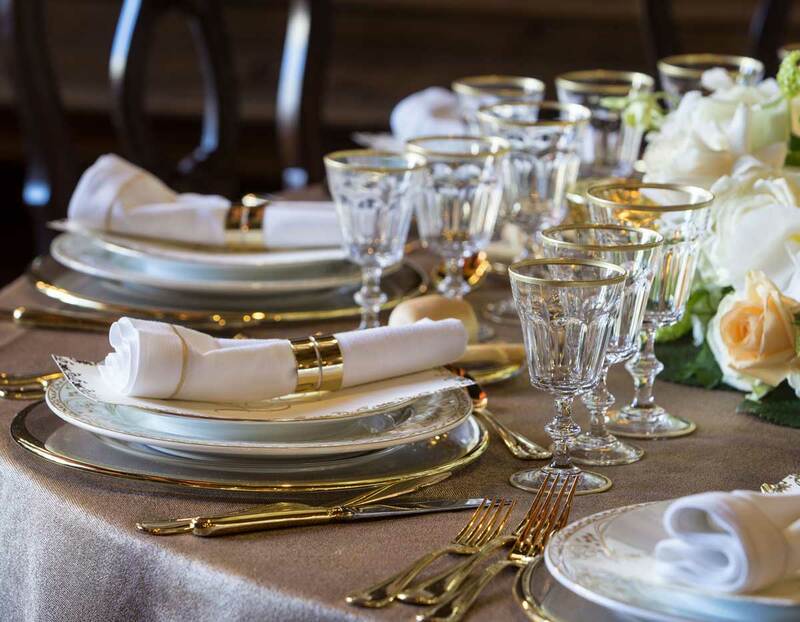 During the meeting breaks, Rosa Salva guarantees meticulous service with perfect and punctual timing and a varied menu for every planned event no matter how complex. 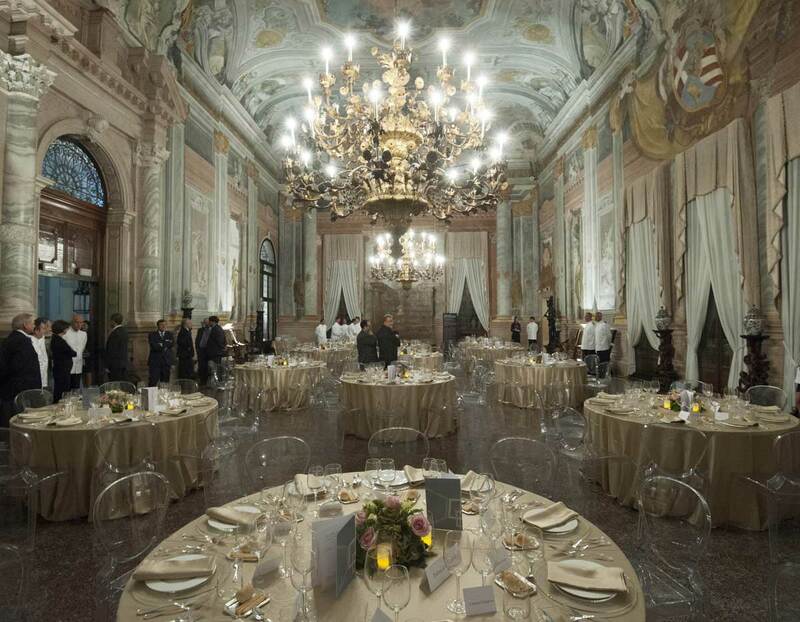 Welcome cocktails, banquets, and gala dinners for special events are tended to by Rosa Salva with the same focused care that over time has become renowned and carried over to the precise service for summits, international conferences, and the most exclusive events. 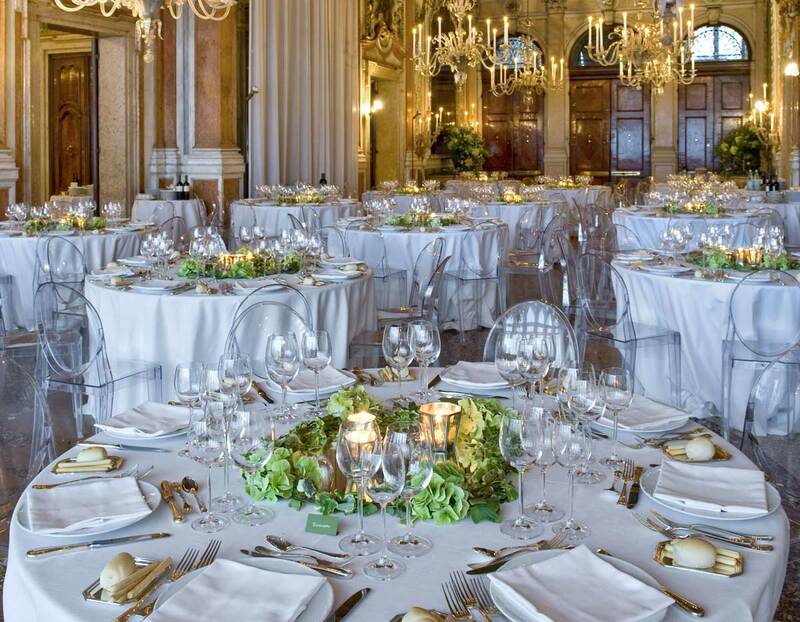 For official ceremonies, inaugurations and public events Rosa Salva ensures immaculate service, tailored to and conforming to the requested protocol. 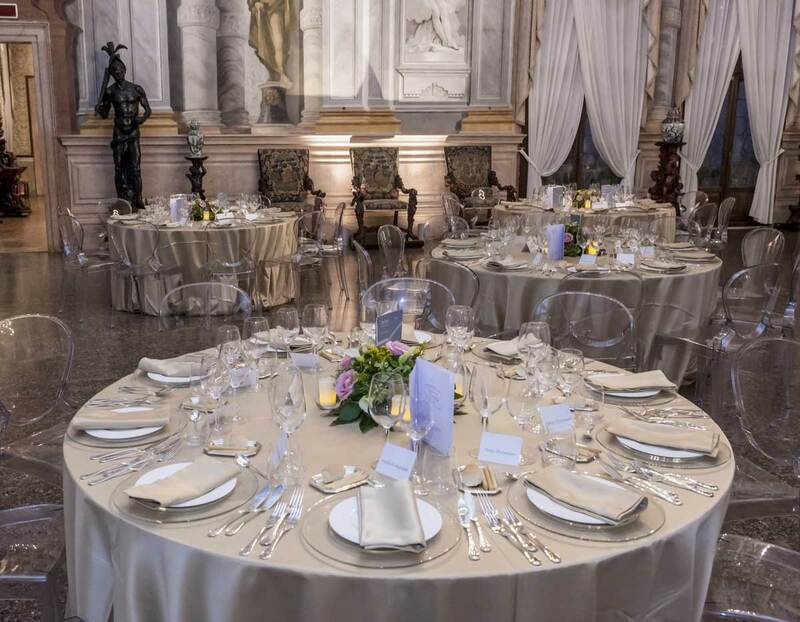 Rosa Salva implements the experience from the catering and banqueting prepared for summits and meetings for heads of state and has established itself as a reliable reference for the organization of particularly complex events. 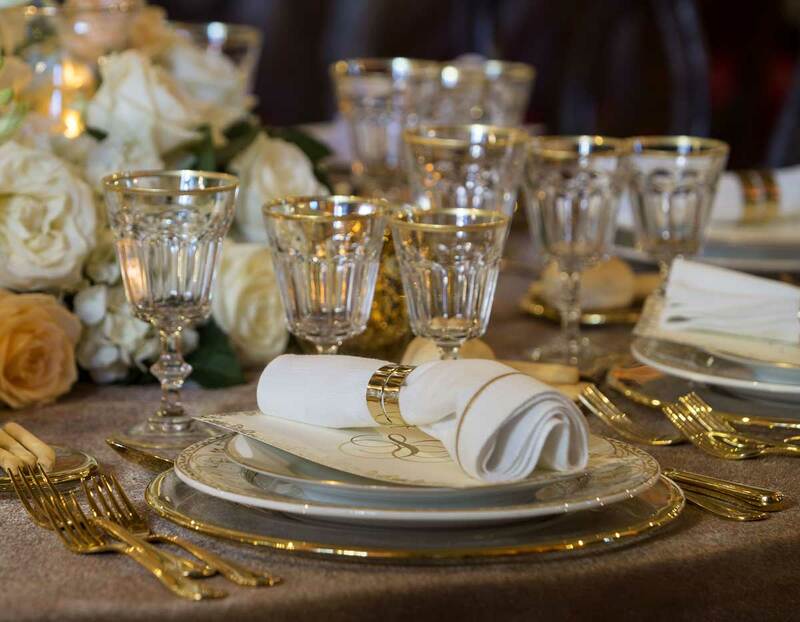 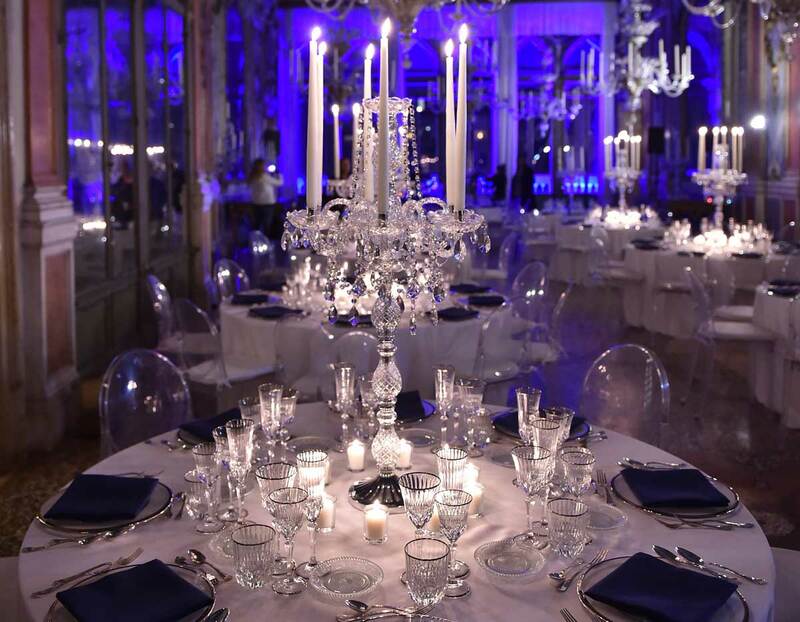 Refined china, glassware and table linens, floral decorations and spectacular set arrangements are prepared by Rosa Salva, thanks to the rich provisions that the company makes available. 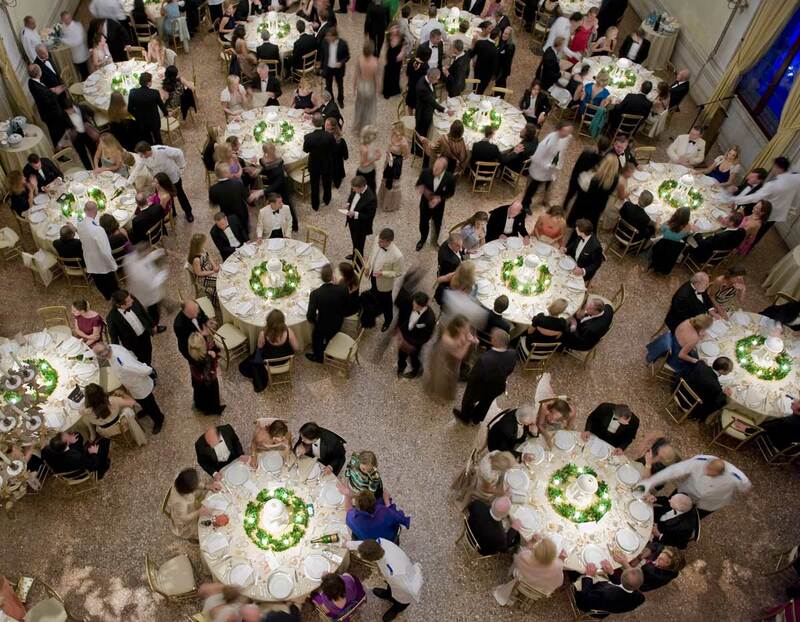 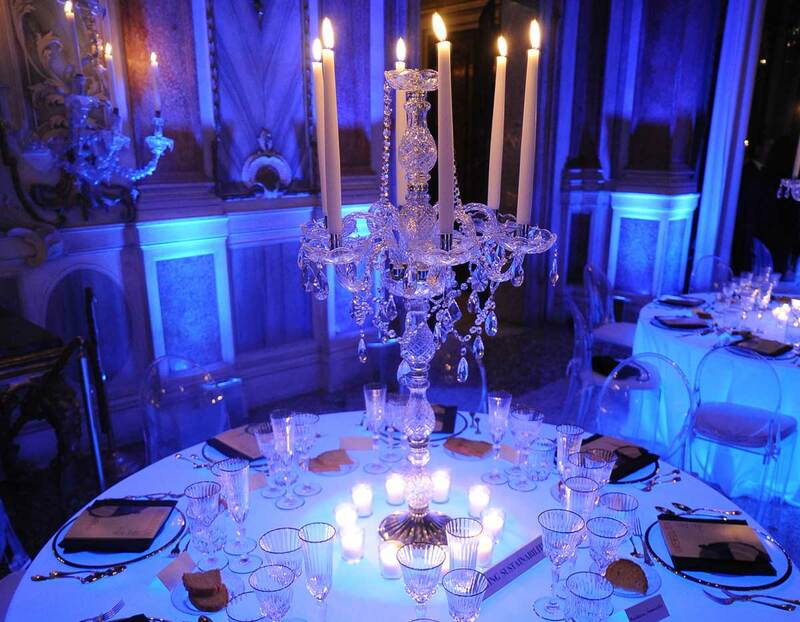 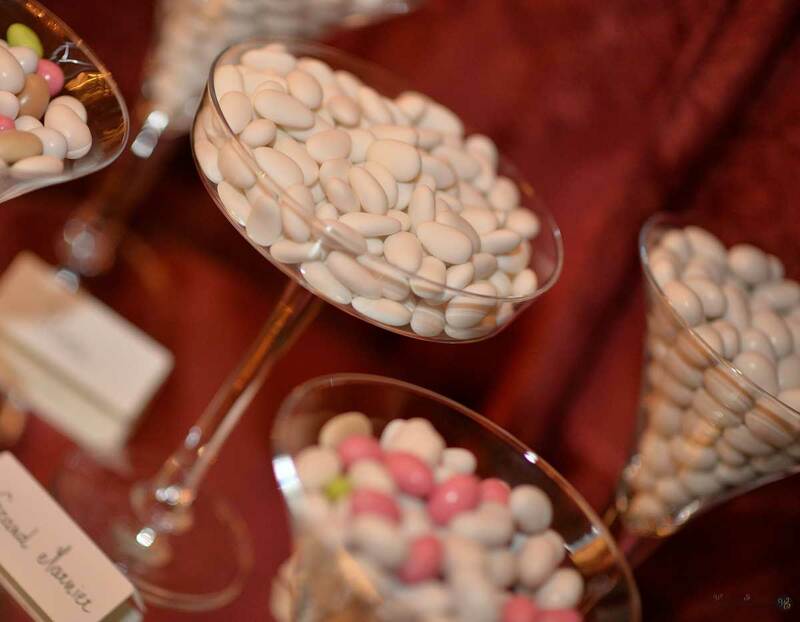 Their network also extends to a select range of suppliers and trusted special event experts. Rosa Salva offers the best solutions for every occasion, be it parties, banquets or gala dinners. With Rosa Salva’s organizational capacity and long experience, they can guarantee the success of any private party by skillfully honing in on the guests’ particular tastes and wishes. Cocktails, buffet and table service is designed especially for each residence, every pre-meditated setting and every guest are taken care of and followed to the very last detail: from the choice of table linens to the cutlery and glassware; from the floral arrangements to every particular setting essential. 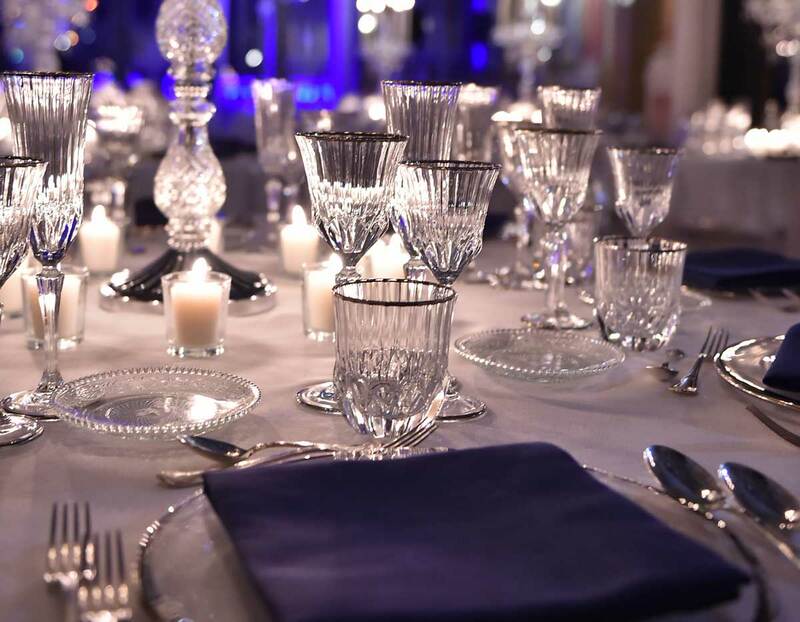 Every anniversary, birthday party, wedding banquet and dance party turns into an extraordinary event with Rosa Salva. 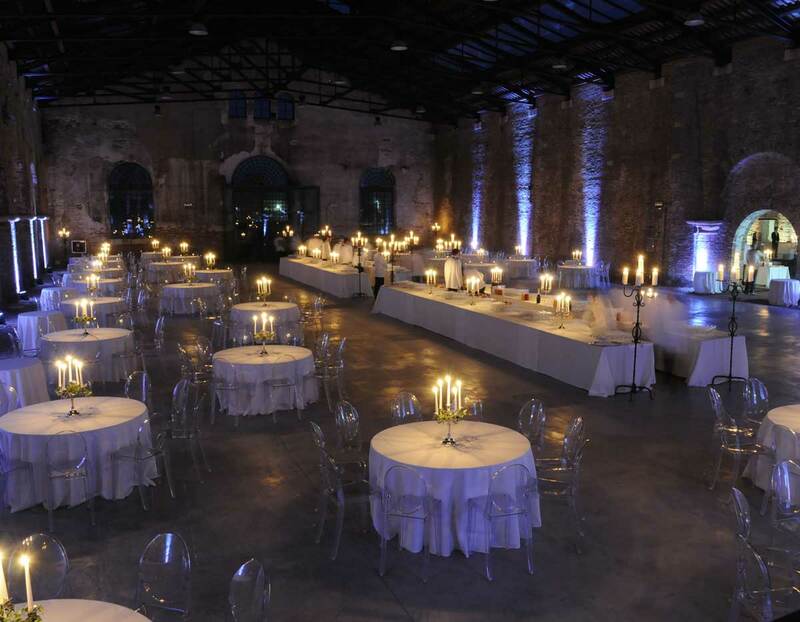 Well-known companies rely on Rosa Salva for business events. 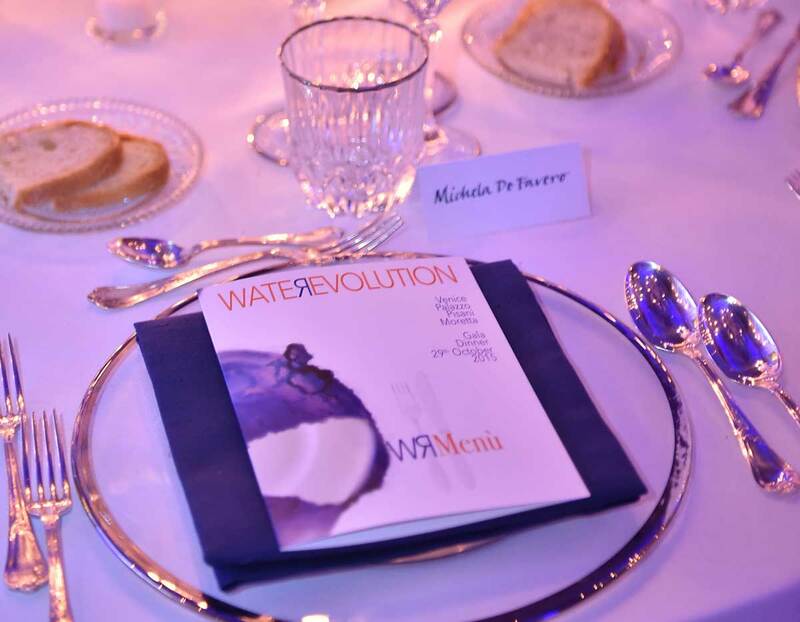 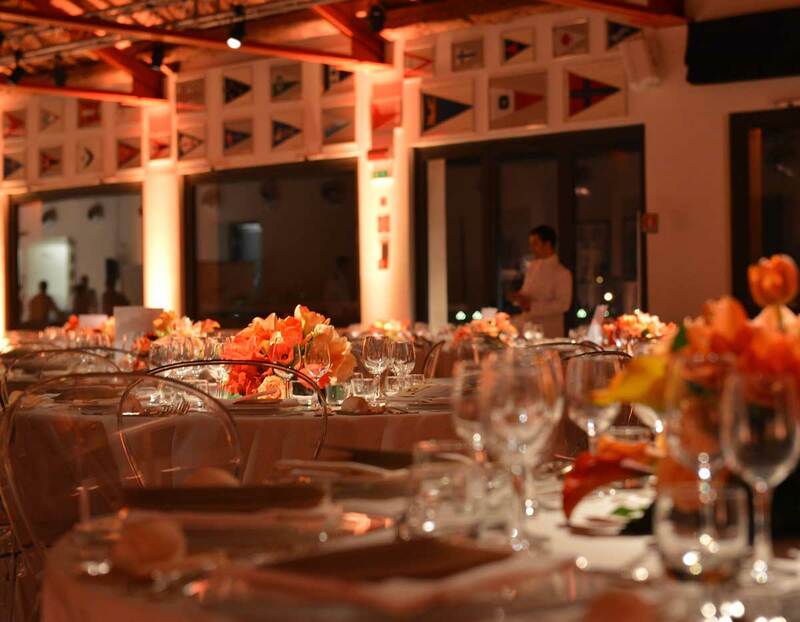 The launch of a new product and incentives for the sales force are times when skillfully taking care of every detail matched with exquisite catering amplifies the effect of the event.